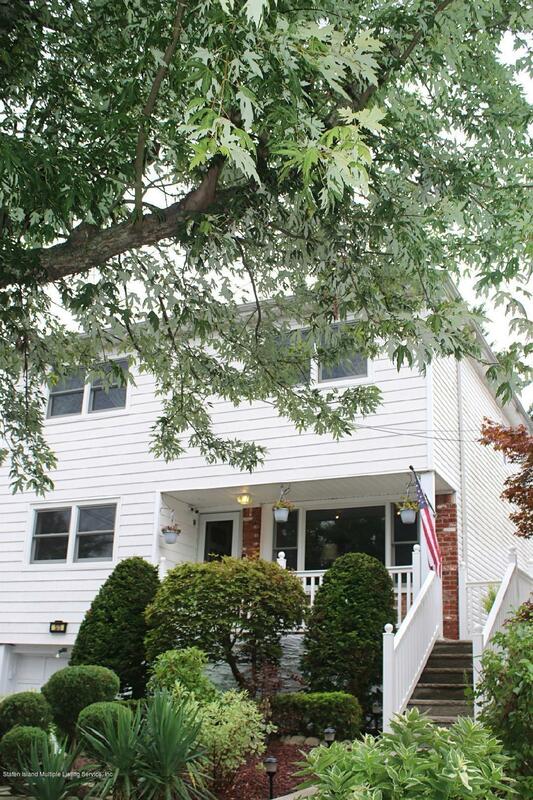 Beautiful spacious 4 Bedroom Colonial has hardwood floors throughout.Large updated Oak Eat in Kitchen, Formal Dining room with an Andersen Sliding Glass Door to deck and yard. Central air compressor is new. Large shed has electricity. Finished basement, Family Room, wet bar, utility room Washer/Dryer hookups, new hot water heater. Pull down attic stairs to Crawl space attic with 2 lights and plywood flooring ( attic access is from 4th bedroom.) Six ceiling fans stay. Owners pride shows here, Prime Location lovely tree lined St. with plenty of parking. Stores, Schools, transportation and train station are all nearby. A hop and a skip to Bloomingdale Park which has many amenities. Dining Dimensions: Andersen Sgd To Deck & Yard.